I have been rereading the Brontes this summer. I just read Minae Mizumura’s A True Novel, a Japanese retelling of Wuthering Heights, which won the Yomiuri Prize For Literature in 2002. The translation by Juliet Winter Carpenter was published in 2013. It is the most elegant new novel I’ve read this year. If you haven’t read Wuthering Heights, you are missing out on the most poetic Gothic romance and poetic family saga ever written. It is not just a love story: it is defined by its complex structure. There is a frame story: Mr. Lockwood, a tenant, has a horrific encounter with his rich landlord Heathcliff, and later hears Heathcliff’s long story from Nelly Dean, the housekeeper. Here is a recap: Catherine Earnshaw grows up with Heathcliff, an orphan, at Wuthering Heights, but after Catherine’s brother Hindley inherits the house, Heathcliff is treated as a rustic servant. Cathy tells Nelly Dean, the housekeeper, that she loves Heathcliff but it would degrade her to marry him now. And so Cathy marries Edgar Linton, a gentleman, and Heathcliff disappears to make his fortune. The next generation suffers, money or not. Minae, a character in her own novel, ponders the difficulty of transferring an English novel to Japanese culture. The structure of the Japanese language is so different from European languages that even the abstract idea of a “subject” is foreign. There is, for instance, no equivalent to the personal pronoun “I” in Japanese. Minae is creating a novel from an oral tale of doomed romance related to her by a young Japanese man, Yusuke Kato, who heard it from Fumiko, a maid at the summer cottage of Taro, a Japanese billionaire. During her short teaching gig at Stanford, Minae is sought her out by Yusuke because he wants to talk to her about Taro, whom she knew slightly. One stormy night, he tells her the story of Taro’s doomed love for a privileged woman named Yoko. Yes, Taro is Heathcliff to Yoko’s Catherine. Minae asks herself why tell another love story? The story I was told on that stormy night was merely one of many love stories already told a thousand times. Why turn it into yet another novel? there was only one answer I could think of: it recalled the translated Western novels I had encountered as a girl, especially one that never failed to make a disturbing impression on me every time I read it, a literary classic set on the wild Yorkshire moors and written more than a hundred and fifty years ago by the Englishwoman E. B. Indeed, it was only my intimate acquaintance with this book that made me recognize that Taro’s tale had the makings of a novel. Minae explains that very quickly her work starts to diverge from Emily Bronte’s. “It …. had to follow the inner logic of the Japanese language and interact with countless Japanese texts of the past, all the while maintaining a keen awareness of the small place the language occupies in a world dominated by English, an awareness inescapable to someone writing in this day and age. After the prologue, which is also a brief autobiography of Minae, she switches to the third person and tells the story from Yusuke’s point of view. During a summer when he stays at a friend’s cottage, he gets lost on his bicycle and has an accident, and finds himself at a dilapidated cottage owned by this eccentric tycoon. The maid, Fumiko, befriends him, and lets him sleep in the shed. That night he sees a girl–the ghost of Yoko. Later, Fumiko tells him that Taro was so in love with Yoko that he has taken to sleeping in the shed, hoping to see her. Yusuke hears the whole story from Fumiko, who traces her genesisfrom poor farm girl to prosperous maid in the house of Dr. Utegawa, his beautiful wife Netsue, ,the doctor’s mother, Mrs. Utegawa, and Yoko, the youngest daughter. How did Taro get involved with the family? In post-war Japan, Taro Azuma, an orphan, was mistreated by the aunt and uncle who had reluctantly taken him in. But he is saved by the fact that his great-uncle works as a handyman for the doctor’s family next door, and he is has constant contact with the grandmother and Yoko, the privileged girl next door. In fact, the grandmother hires him ostensibly to help around the house. but in reality, she makes sure he eats well, has clean clothes, and does his homework. Like Heathcliff and Catherine, Taro and Yoko become best friends and fall in love, but Yoko, like Catherine, believes it would degrade her to marry him. In the second volume, Fukimo continues the story of the complicated relationship between Yoko and Taro when he returns with money. This is a gorgeous book. I couldn’t put it down. I hope I can find some more of her work in translation. This entry was tagged Minae Mizumura's A True Novel. Bookmark the permalink. This sounds fascinating. Shamefully, I have to admit I know absolutely nothing about Japanese literature, and I don’t think I’ve ever read any Japanese authors, so perhaps I should make a start with this one. It is really a beautiful novel, one I am sure I will reread. Sounds and looks beautiful, Kat. I went through a huge Japanese lit phase years ago and read tons of Mishima, but I know less about current authors. I shall look out for this. I don’t think many contemporary Japanese novels get reviewed here, but this one fortunately did, and I can’t recommend it too highly. An interesting aspect of the history of novels is the first one emerged in the UK and France, then a couple of countries nearby or under their strong influence culturally (US, Italy to some extent, later Germany, Russia by way of France) so that now in the 20th and 21st century you find around the world novels emerging from other cultures they return to these books as a sort of fountain to dive into in order to begin. 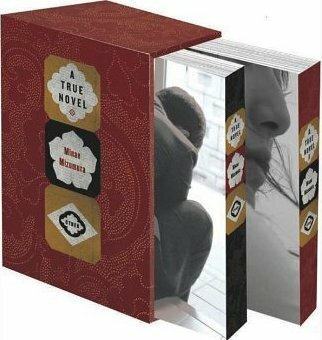 She also writes in this novel about an Anna Karenina retold and set in Japan which she read again and again as a child, and alas I looked this up and it is only available in Japan. And so, yes, the Western novel became popular!